“Hire Smart – Hire Vets” is the tagline for Clear Channel and its iHeartRadio subsidiary's "Show Your Stripes" initiative, which the media company announced today. 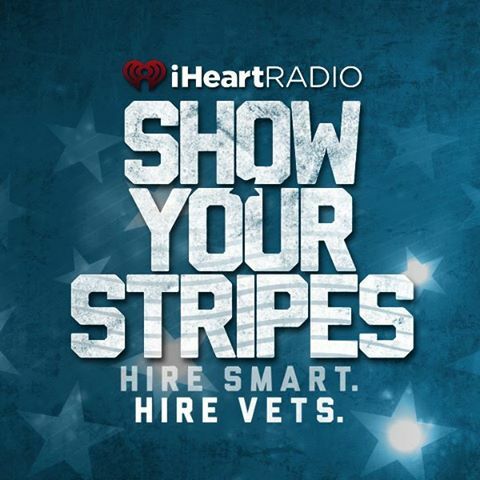 "Show Your Stripes" is meant to help U.S. military veterans find work by highlighting the skills and experience they receive during their service to employers via a campaign of public service announcements using Clear Channel's radio, billboard and digital platforms. In addition to the "Show Your Stripes" campaign, Clear Channel has also announced the "Show Your Stripes Alliance," a group of pro-military, pro-veteran American corporations that includes American Airlines, Anheuser-Busch, BNSF Railway, Capital One, Century 21 Real Estate LLC, Chesapeake Energy Corporation, Cisco, Citi, The Coca-Cola Company, Comcast and NBCUniversal, Deutsche Bank, Duane Reade, Electronic Arts, Facebook, FedEx, General Electric, General Mills, The Home Depot, jcpenney, JetBlue, Johnson & Johnson, NBA Cares, American Red Cross, Sprint, UPS, Verizon Communications Inc., Waste Management, Walgreens and Wells Fargo. The goal of the alliance is to make the companies' pro-vet hiring practices more widely known, thus encouraging more vets to apply for positions. Businesses can join the alliance at the Show Your Stripes website.